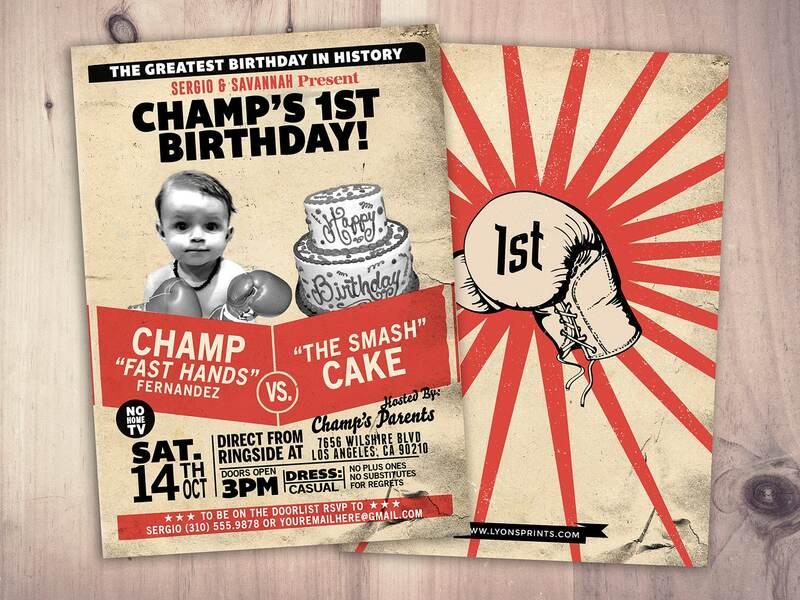 This Retro Boxing Match poster birthday invitation is an awesome way to celebrate. Choose your favorite photo! . 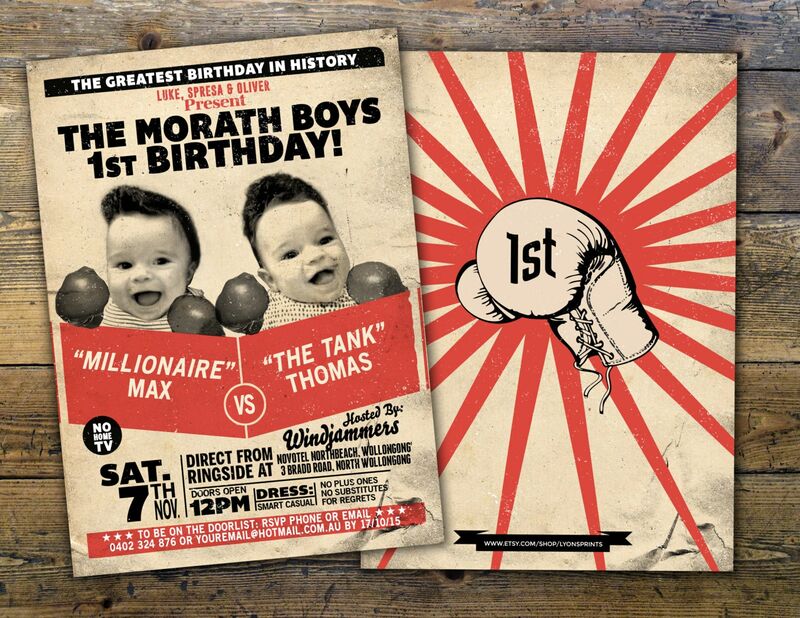 . . this can be customized to accommodate 1 or 2 photos. If only using 1 photo the right side will be blank for you to write in your guest's name. • Please leave your party details in the notes section when you check out like how you see in our sample. 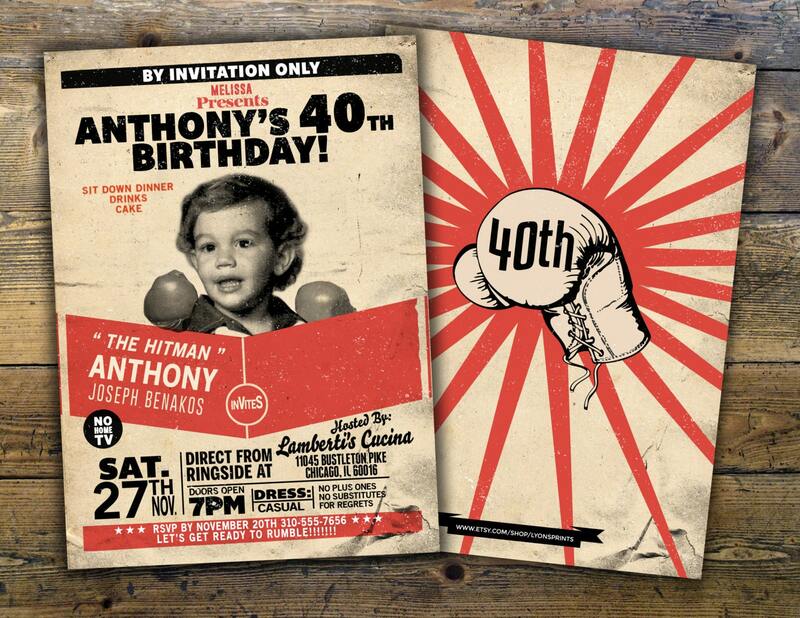 • Please do not forget your boxing "nickname"
Amazing service! Incredible turn around time. Quick to respond to questions. Would recommend LyonsPrints to anyone. Will be coming back again! Thank you LyonsPrints!